As expected, yesterday Lenovo introduced the Z5s smartphone – its first model with a triple camera. 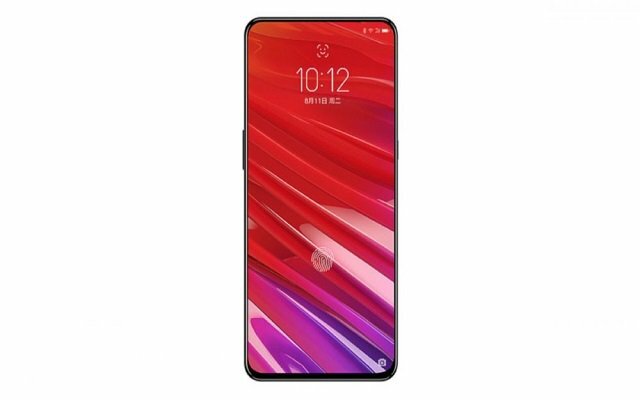 In a number of official teasers, developers have said that the Z5s will strike a devastating blow to the flagship model Xiaomi Mi 8, so it’s interesting to see if the predictions of the creators of the novelties have come true. Share your thoughts in the comments. It should be noted that the Lenovo Z5s is built on a non-top platform – the device uses the SoC Qualcomm Snapdragon 710. While the Mi 8 uses the SoC Snapdragon 845. However, Lenovo claims that in the games, and even with the use of the game technology Game Turbo, the real difference is not visible. Well, and “parrots” in benchmarks … they are, probably, completely out of wicked ones. Game Turbo, by the way, tested for compatibility with Tencent games. The cut at the top of the Z5s screen is present, but it’s drooping and really much smaller than the Mi 8. The display is characterized by a 6.3 inches diagonal and a resolution of 2340 × 1080 pixels. It occupies 92.6% of the area of ​​the front panel – and it is really a very good indicator for a model with a small but still standard cut. The rear panel of the smartphone is also decorated with tempered glass. The screen is protected with tempered glass Gorilla Glass (which version is not reported), and the frame is made of durable aviation aluminum. During the presentation, a video with a split of nuts with a smartphone was shown – the smartphone was not injured. Another element of the protection is the water repellent coating P2i, such as was used in smartphones Moto series G.
Now a few words about the camera. The main triple camera is represented by a set of sensors with a resolution of 8, 16 and 5 Mp (top down). Lens diaphragm, respectively, F / 2.4, F / 1.8 and F / 2.4. Among the features of the camera are two-way optical zoom, high dynamic range and widespread use of artificial intelligence algorithms. The front camera uses an image sensor with a resolution of 16 Mp with large pixels of 2.0 microns. The Lenovo Z5s has a 3300 mAh battery pack with 18W battery power. A device running Android 9.0 Pie running on the ZUI 10 interface is installed. Another feature of the model is the presence of both the USB-C port and the standard 3.5 mm headphone jack. Lenovo has already started accepting orders for Z5s, and real sales in China will start on December 24 at 10am local time. A version of 4GB of RAM and 64GB of flash memory is estimated at $ 205, an option with 6GB of RAM and 64GB of flash memory is estimated at $ 230, well, the top version of the 6 GB of RAM and 128GB of flash memory will be sold at a price of $ 275.